You do your homework and carefully put your notes away, and hand it in when you get to class ... then a few days later, you get your notes back ... and across the top, it says "Glen, I can't read this! Please, please, Puh-LEASE get a new ribbon!!!!" Well, okay, so chances are pretty good that your name isn't Glen ... but for those of you for whom this scenario is familiar, let me introduce you to blogger Jennifer Upton. Jennifer has just the thing for you: Directions on how to re-ink your Stentura's ink cartridge! If you're lucky, you won't find this *after* you have already spent $21.00 on a new ink cartridge, like, say, moi (grrr!!) ... but even if you weren't so lucky, Jennifer's article will (hopefully!) save you some $$$ in the not-too-distant ... and keep your instructor from writing nasty notes on your homework! 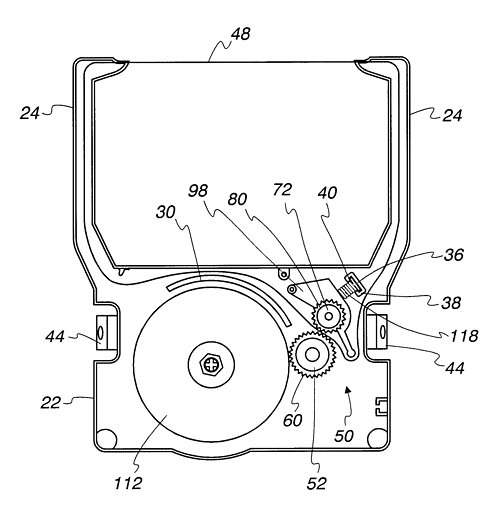 Here are some tips for economical and efficient use of your steno machine ribbon cartridge. So what does a court reporting student do when only the tops of your letters print on the paper of one's Stenograph machine? It's probably one of two things. If it's just a letter here and there, the individual key contact switch may need to be adjusted. I never seem to have my owners manual on me when this needs to be done, so follow the directions at this link to for a refresher course on which way to turn the allen wrench. If all the letters print partially or are just printing really lightly, you probably need to re-ink your ribbon. That's right. I said it. You don't need to keep buying $24 ink cartridges every time you start not being able to read the letters on your steno paper. 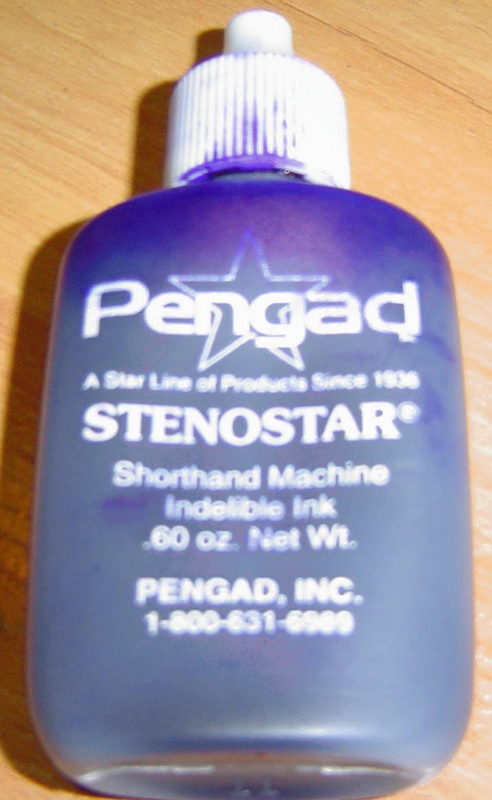 All you need is a bottle of steno machine ink like the one pictured below which can be found at numerous online court reporting supply stores for around $10 or under. -- there's a little sponge next to the wheel where you can put a few drops of ink at a time and then wait for it to absorb. 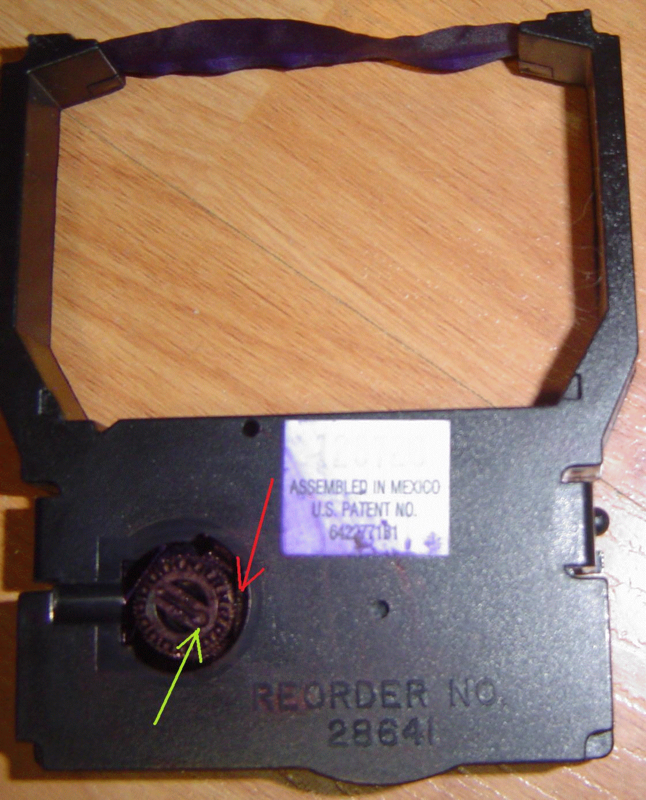 Put the tip of a pen or similar tool in the hole indicated by the green arrow and spin the wheel around several times to work the ink into the ribbon. You may need to repeat the process to get your letters to show up again, but just err on the side of caution ... and voila, a money-saving solution that all steno students can benefit from as long as your machine uses a Stenograph ink cartridge. Also, should you be unfortunate enough to discover this article *just* after you plunked down your $21.00 for a new one, it says somewhere on Stenograph's site that you need to whip that wheel around a few times to get the ink flowing. This, of course, is another little tidbit I discovered a wee bit too late .... the sacrifices I make for youse guys --!